Looking for new construction or are you considering building a home in Casper Wy or the surrounding areas? 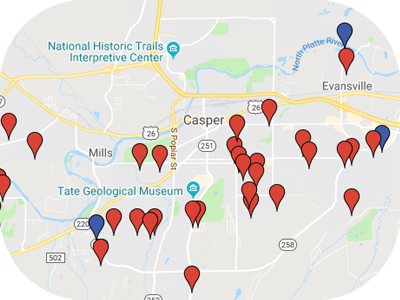 Below you can find a list of new construction homes in Casper Wy and Natrona County. Currently House Real Estate Group represents multiple builders in multiple locations around the city. To find out more information about any of these subdivisions or Builders please click a link below to be directed to the appropriate page.